1.) First, what exactly are you looking for? Medical vs Non Medical Strains – what makes cannabis effective? Appearance & Smell – what do buds look and smell like? Timelines & Yields – how long until harvest and what yields to expect? Strains… There are a few widely known cannabis strains, like "White Widow" (pictured here to the right). But for cannabis growers today, there are literally thousands of strains to choose from. Each strain has it’s pros and cons. Each one produces different effects. Unfortunately, even knowing the strain name isn't necessarily enough to tell you what to expect from a plant! 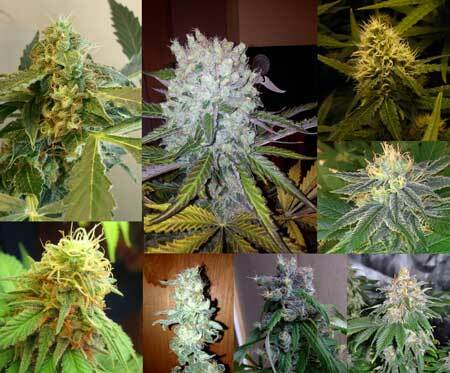 There are sometimes different versions of strains by different breeders. When there are several versions of popular strains, each version can grow wildly different from each other and produce different results. "White Widow" from one breeder may be completely different from "White Widow" by another breeder. So while you're researching strains, always pay attention to the breeder in addition to the strain name. Learn about some trusted breeders. Genetics play a huge role in how your cannabis plants grow, including the effects, appearance, smell and taste of their buds. So how do you pick the right strain? These steps will show you the way. First, what exactly are you looking for? Every grower has different needs. Are you looking for medical cannabis, or non-medical cannabis? Do you need a strain that’s easy to grow? 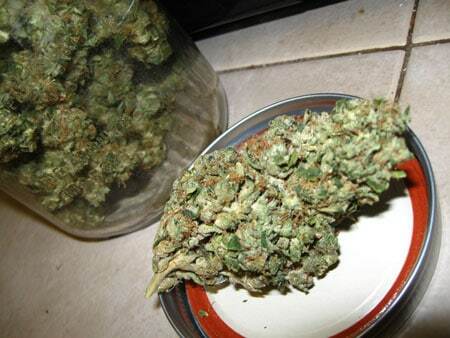 Are you just looking for the most potent strain possible? Perhaps you want to grow purple or pink buds that look like the buds you see in a magazine. Regardless of what you’re looking for, chances are there’s a strain, or many strains, that fit your needs. 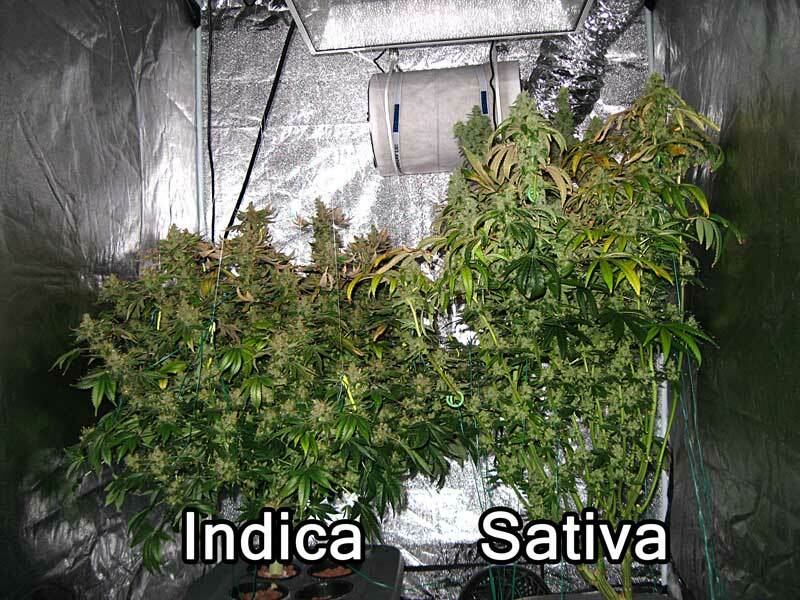 One thing to keep in mind is “Indica” vs “Sativa” plants. These are not always the case, and characteristics vary a lot by strain, but this list should help give you an idea of what to expect in general from Indica vs Sativa strains. The above plants were grown in the exact same environment. Notice how much a difference the strain made as far as their growth patterns. Sometimes called "Lowryders" or "Ruderalis" strains. 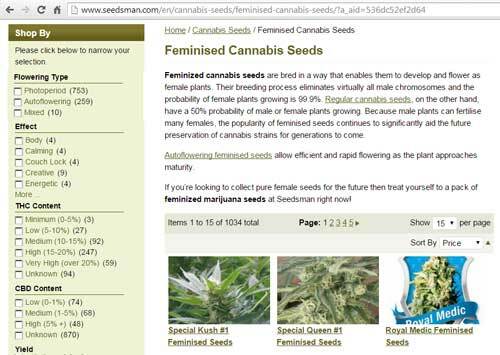 Note: “Feminized” seeds means that all the plants will turn into female plants. 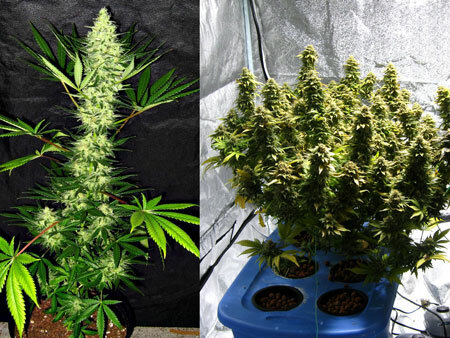 Some strains are considered “easier” to grow than others. One example of this is “Northern Light” which is considered to be hardy and tends to thrive in a variety of environments, without growing too tall or out of control. Some strains are known to be relatively picky about their environments, but an experienced grower in a nice setup should be able to deal with any strain’s specific needs. The following factors vary quite a bit from strain to strain, and also change due to different growing methods. The buds of different strains look different from each other. 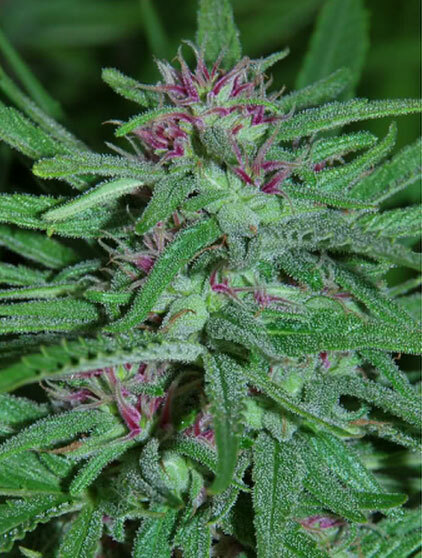 Some buds come in green, orange, purple or pink hues. Some tend to be light and airy, while others (often indicas) tend to grow very tight, dense buds. Different strains also produce different tastes or smells in their buds. Appearance and taste/smell are parts of the whole growing experience. If the characteristics of the bud appearance or taste/smell is the most important to you, then it's important to determine what you're looking for so you can choose the right strains to fulfill your needs. 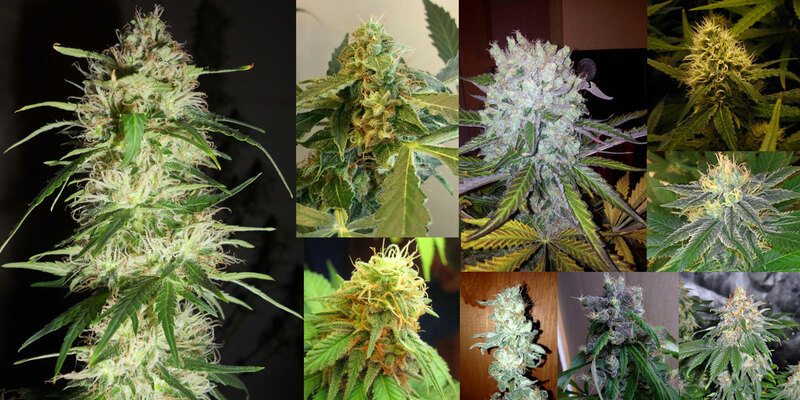 There are many breeders that specialize in pretty, fragrant and colorful strains. There are many strains that actually have "purple" or "pink" in the name. The pictures and information given by breeders will help you find the exact strain you're looking for! Note: I believe it's important to pay attention to bud effects as well as the appearance or taste/smell of a strain. Even if you're growing a particular strain for its looks or taste/smell, sometimes the result doesn't come out as expected due to a different environment, grow lights, nutrients, or just plain genetic variation. But if you get a strain with the effects you're looking for, you know you'll be happy at harvest time! 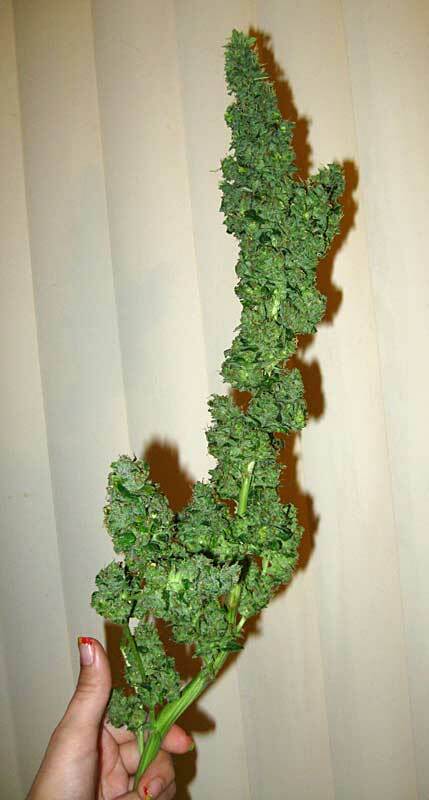 Your growing methods have more of an impact on the appearance of your bud than the effects (though it affects both!). For many growers, the potency and effects of the bud are the #1 thing you care about. We already talked about sativa vs indica, and medical vs non-medical strains, but there's still a lot more to potency and effects. It's also important to remember that the time you harvest and how you dry/cure your buds after harvest have a huge effect on the final potency and bud effects. The time you harvest can make the difference between speedy, "mental" or "body" effects. The dry/cure adds significantly to the perceived potency of your buds if done right, and without a good dry/cure buds are not as enjoyable and can give you a headache. But strain also has a huge effect – you can't grow buds that are better than their genetics, no matter how great a grower you are! Here's what you need to remember about potency when shopping for strains. THC & CBD only tell part of the story – I've had strains with 15% THC blow the socks off a strain with 25% THC, at least as far as the potency I experienced. Although THC and CBD numbers do have a big effect, once you're above 15% THC or so the results seem to become a lot more subjective. You can have 20% THC cannabis that is almost too strong, and other 20% THC cannabis that only as a small relaxing effect. There are other cannabinoids in cannabis besides THC, and they can moderate and alter the effects you feel, so don't get too caught up on the numbers. Even if you're looking for the strongest bud possible, I'd stay open to what people say about the effects, and take the advertised THC percentages with a grain of salt. Mental vs Physical – One of the major differences between strains is whether the effects hit you more mentally or more physically. Some strains tend to give people soaring creative thoughts, increased sociability and extra energy. 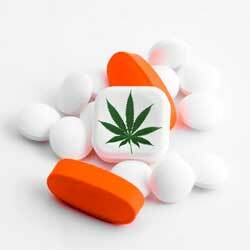 Other strains can completely sedate you and give your body a strong pleasurable "buzz". Sativas tend to be more mental, and indicas seem to be more physical, but it's important to read what the breeder says because most strains are hybrids and carry a mix of both. 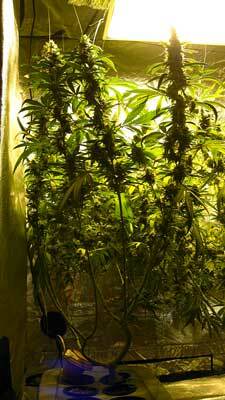 You might also be interested in how to increase THC during the growing process. There are also a few tricks to increase CBD levels. Some growers are really interested in growing the most famous strains and cannabis cup winning strains of the moment, and recent strain winners. One thing to keep in mind is that newly created strains tend to be less stable and your plant may end up growing in an unexpected way. Yet many cup winners offer unique characteristics which can’t be found anywhere else. For a lot of cannabis growers the most important thing when it comes to strain choice is to get the most cannabis bud as fast as possible. Luckily, there are lots of cannabis strains and breeders that cater directly to this market. You don't necessarily have to give up quality for quantity. There are also photoperiod (non-autoflowering) plants that have short flowering times, but usually they'll still end up taking longer to get to harvest than most auto-flowering strains. If you want to get the biggest yields possible, you need to get a high-yield strain. Some strains are popular for their effects or appearance, but don't yield as high as others. 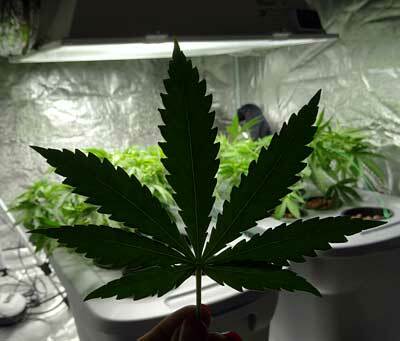 You'll usually get the best yields with photoperiod strains. Most breeders will list expected yields with their strain descriptions, so you can find the strains that yield the most when you're looking at your options. If you're really concerned with yields, make sure to still pay attention to flowering time, too. If two strains are rated the same in yields, but one takes 4 weeks less in the flowering stage than the other, you'll end up with the most bud by getting the plant with the shorter flowering time because you'll be able to grow more plants more often. But probably even more imortant than strain, if you're growing indoors the best way to increase your yields is to train your plants during the vegetative stage. What characteristics are you looking for? Make your list now. Now it’s time to create a list of possible cannabis strains. Definitely add as many as you want at first, but then I recommend narrowing down your list of strains so you’re not caught up with overwhelm. I have few strategies to help you narrow down your list. 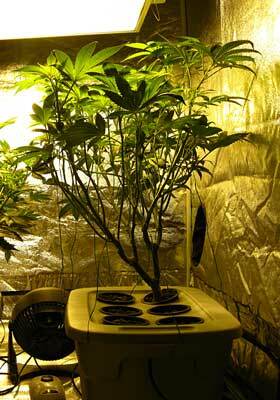 To start, make a list of a few possible strains to grow. You’ve already made a list of desired characteristics a moment ago. If you don't already have an idea about which strain(s) you want to grow, it’s time to make a list of possible strains that might fit your needs. So let’s find strains that have characteristics you’re looking for. Note for Medical Cannabis Patients: If you’re looking for medical cannabis strains, and most especially if you’re looking for high CBD, low THC strains, you want to start with clones if you possibly can. The best case scenario is to get a clone from a trusted grower who can provide cannabinoid percentages for the buds produced by this plant. Just because someone says a strain is “Harlequin” doesn’t mean that it necessarily has high CBD levels. Always check and ask for documentation about cannabinoid levels! When I'm researching for a new grow, I usually start by using the website of a big seed bank. These sites give you lots of helpful information about each strain they carry. These big seed sources usually have a "strain selector" option that lets you put in the specific features you're looking for and get a list of results. Recently I’ve been using Seedsman because they carry seeds by a lot of trusted breeders and have pretty good profiles for each strain. Let’s say I want only feminized seeds on Seedsman. After choosing Regular vs Feminized, I’m brought to a page where only feminized seeds are displayed, and I have a list of options going down the left side of the page to narrow down my possible strains. Here you can see a list of options on the left side. There are more options if you keep scrolling down. As you click on your desired characteristics, the list of strains in the middle will automatically update so you’re only seeing the strains you want. Again, you’ll see this option along the left side. Using the options on the left side will allow you to select a variety of characteristics to narrow down list of strains. Step 4: Start looking at the descriptions of different strains, and write down any one that appeals to you. Note: Don’t pay attention to just THC or CBD levels. Although these are important, there are lots of other factors that will change how the buds affect you, too. Always do your research! Seeing different grows featuring a strain will help give you an idea of what the buds of that particular strain tend to look like. Search for a grow journal with pictures of your strain during the grow process – Type "STRAINNAME grow" into Google.com and look at the regular results plus the Google image results. When looking at image results, it's important to click through to the page instead of just looking at the image so you can learn more. These steps may give you good leads toward finding a grow journal featuring your strain, but not always. Remember to also pay attention to which breeder the grower got their strain from. Search for the strain name in Youtube – you may possibly find people who may have grown the strain and documented their grow with video. Video is a great way to give you an idea of your strain might look like in the flowering stage, and lots of growers post full video grow journals on Youtube. Again, also pay attention to the strain breeder. I like the site http://en.seedfinder.eu/ for strain research. It is one of the best ways to find out the genealogy and ancestry of a strain by a particular breeder. It has growing reviews and pictures for some strains which is really helpful, but that can be hit or miss since many strains are missing any type of grower feedback. If you search for your strain at http://leafly.com you can often find reports of people's experience with that strain, and sometimes you'll get grower feedback there as well. Newer strains tend to be less stable and hardy. You’re more likely to be surprised at how the plant grows, how it reacts to its environment, and how buds form. New strains often don’t match the pictures you see in the strain pics listed next to them. More established strains that have been around for a few years are much more likely to give you exactly what has been advertised. For example Nirvana strains tend to be very stable, and (at least for me) each plant grows just as claimed. Don’t listen to claims by people who are not trusted breeders. If it’s a brand new breeder that no one has heard of before, it’s possibly they may be lying to sell seeds. Here’s a list of trusted breeders that I recommend (though there’s lots of others out there, too, but these are the ones that have personally treated me well). New strains are not necessarily better or stronger than more established strains. Some strains that have been around for a while consistently beat newer strains. Choose the strain you want! Now that you’ve learned about several different strains, I hope that one (or more) of them are sticking out as potential strain candidates! The hardest part of strain research is taking that last leap and getting the strain. It’s going to be with you for your whole grow, and you want to make sure you’re happy with it. But I’ll tell you a secret, as long as you buy a strain that sparks your interest (from a trusted breeder), than you’re going to love it. If you like your strain, you’ll take better care of your plants, and they will reward you! You've done the hard work of researching your strain. This process can be fun, but also time-consuming. 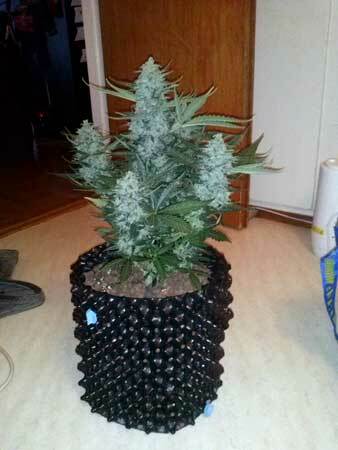 The best part is yet to come – growing your new strains! Learn how to grow cannabis! One last thing to keep in mind… Looks are important to many growers, and looks are part of the whole experience when using cannabis. …But when it comes down to choosing the strain, I recommend to first choose strains that produce the effects you like as opposed to thinking only about appearance. Some strains may not produce buds that look like what you see in magazines and online, but will give you exactly the effects you are looking for. Isn’t that why we’re all here in the first place? Where Can I Get Seeds Safely?